Multidrug-resistant tuberculosis (MDR TB) has become a major global health concern and is also an issue in children. Children with MDR TB need longer duration of treatment with multiple drugs. The MDR TB treatment regimen usually comprises of a fluoroquinolone, an aminoglycoside, ethionamide, cycloserine, pyrazinamide and ethambutol. In the absence of pediatric friendly tablets/formulations, in most cases the adult tablets are either crushed or broken. This is likely to lead to inaccurate dosing. Very limited information is available on the pharmacokinetics of second-line anti-TB drugs in children with MDR TB, except for few studies from South Africa and one from India. Drugs such as linezolid, clofazimine are also being considered for the treatment of MDR TB in children. However, their pharmacokinetics is not known in the pediatric population. It is important to generate pharmacokinetic studies of drugs used to treat MDR TB in children in different settings, which would provide useful information on the adequacy of drug doses. Denti P, Garcia-Prats AJ, Draper HR, et al. 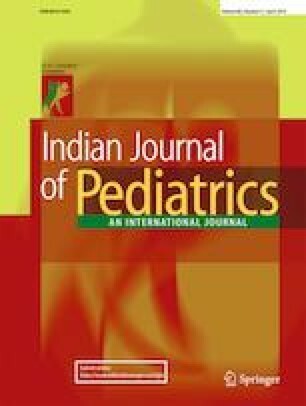 Levofloxacin population pharmacokinetics in south African children treated for multidrug-resistance tuberculosis. Antimicrob Agents Chemother. 2017. https://doi.org/10.1128/AAC.01521-17. Hesseling AC. 43rd World Union Conference on TB and lung health, 2012. Available at: https://www.theunion.org/what-we-do/journals/ijtld/.../abstract_book_2012_web.pdf. Accessed 10th July 2018.